High Efficiency Stationery Screw Compressor from 30 cfm to 1000 cfm is used in different Industries for a variety of applications. 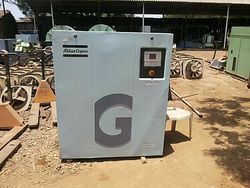 These heavy duty compressors also come with Power Saving VFD options. Introducing the ga 90-110 vsd+ compressor: the big energy saver. With honest intentions to improve the standing we have earned in this arena, we are offering a distinct Tank Mounted Screw Compressor. 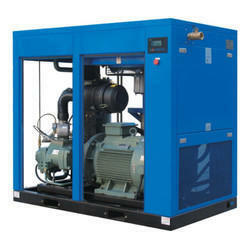 We supply Rotary Screw and Tooth Oil-free Air Compressors ZR 160 VSD. A proven and robust range of oil free screw compressors covering a broad range of industrial applications. Dry Air India ( P ) Ltd.